(…) Las oportunidades educativas y profesionales aumentaron; las mujeres fueron admitidas en Oxford y Cambridge y en 1876 consiguieron el derecho a matricularse en medicina. La rápida expansión, durante la década de 1870, de la enseñanza, la asistencia sanitaria y otras profesiones procuró empleo e independencia económica a un número cada vez mayor de mujeres. Además estos mismos años fueron testigos de la creación de movimientos femeninos de reforma moral, los cuales contribuyeron a la extensión del movimiento feminista en un sentido radical. La más de estas organizaciones de reforma moral fue sin duda el movimiento para combatir la regulación estatal de la prostitución fundado en 1869 por Josephine Butler. Al igual que al movimiento norteamericano al que sirvió de modelo, la organización de Butler consiguió algunos triunfos espectaculares, sobre todo en las elecciones parciales de Colchester de 1870, en las que un candidato partidario de la regulación fue derrotado tras una masiva campaña abolicionista contra él. Butler ganó para la causa a las iglesias protestantes y a los sindicatos en la década de 1870, y el advenimiento de un gobierno liberal en 1880 preparó el camino para la suspensión de la regulación estatal en 1883 y su abolición en 1886. Los abolicionistas ingleses se vinieron beneficiados por un cierto número de factores. Mientras los norteamericanos tuvieron que montar toda una serie de campañas locales debido a que la regulación no estaba sancionada a nivel federal, sino a nivel estatal o municipal, los abolicionistas ingleses pudieron concentrar todas sus energías en influenciar una sola institución, el Parlamento, y el hecho de que la regulación se hubiera hecho por decreto del parlamento (las contagious Diseases Acts) hacía que su derogación fuera relativamente sencilla una vez conseguido el apoyo público suficiente. Josephine Butler, the daughter of John Grey and Hannah Annett, was born in 1828. Grey was a wealthy landowner and the cousin of Earl Grey, the British Prime Minister who led the Whig administration between 1830 and 1834. Her father was a strong advocate of social reform and played a significant role in the campaign for the 1832 Reform Act and the repeal of the Corn Laws. Josephine grew up to share her father’s religious and moral principles and his strong dislike of inequality and injustice. In 1852 Josephine married George Butler, an examiner of schools in Oxford. In the first five years of marriage Josephine had four children. In 1857 the couple moved from Oxford after George Butler was appointed vice-principal of Cheltenham College. George and Josephine had similar political views and during the American Civil War they encountered a great deal of hostility in Cheltenham when they expressed their support for the anti-slavery movement. In 1863, Eva, Josephine’s only daughter, fell to her death in front of her. Josephine was devastated by the death of her six year-old daughter and was never to fully recover from this family tragedy. 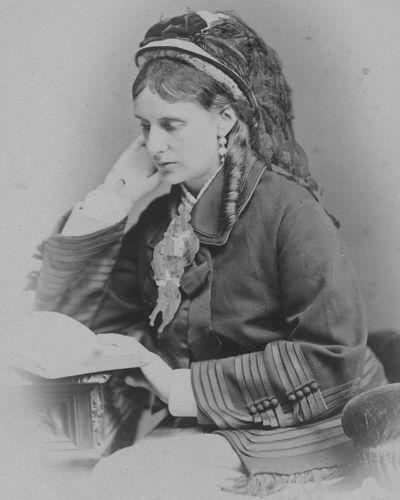 In an attempt to cope with her grief, Josephine Butler became involved in charity work. This involved Josephine visiting the local workhouse and rescuing young prostitutes from the streets. Josephine also began to take a keen interest in women’s education. In 1867 she joined Anne Jemima Clough in establishing courses of advanced study for women. Later that year Josephine Butler was appointed president of the North of England Council for the Higher Education of Women. The following year Josephine became involved in the campaign to persuade Cambridge University to provide more opportunities for women students. This campaign resulted in the provision of lectures for women and later the establishment of Newnham College. In 1868 Josephine Butler published her book The Education and Employment of Women. In her pamphlet, she argued for improved educational and employment opportunities for single women. The following year she wrote Women’s Work and Women’s Culture, in which she argued that women should not “try to rival men since they had a different part to play in society”. These views upset some feminists such as Emily Davies who wanted women to compete on the same terms as men. Butler believed that women should have the vote because they were different from men. She argued that women’s special role was to protect and care for the weak and that women’s suffrage was of vital importance to the morality and welfare of the nation. In 1869 Josephine Butler began her campaign against the Contagious Diseases Act. These acts had been introduced in the 1860s in an attempt to reduce venereal disease in the armed forces. Butler objected in principal to laws that only applied to women. Under the terms of these acts, the police could arrest women they believed were prostitutes and could then insist that they had a medical examination. Butler had considerable sympathy for the plight of prostitutes who she believed had been forced into this work by low earnings and unemployment. Josephine Butler toured the country making speeches criticizing the Contagious Diseases Acts. Butler, who was an outstanding orator, attracted large audiences to hear her explain why these laws needed to be repealed. Many people were shocked by the idea of a woman speaking in public about sexual matters. George Butler, who was now principal of Liverpool College, was severely criticised for allowing his wife to become involved in this campaign. Butler continued to support his wife in her work despite the warnings that it would damage his academic career. Butler also became involved in the campaign against child prostitution. In 1885 Butler joined together with Florence Booth of the Salvation Army and W. T. Stead, the editor of the Pall Mall Gazette, to expose what had become known as the white slave traffic. The group used the case of Eliza Armstrong, a thirteen year-old daughter of a chimney-sweep, who was bought for £5 by a woman working for a London brothel. As a result of the publicity that the Armstrong case generated, Parliament passed the Criminal Law Amendment Act that raised the age of consent from thirteen to sixteen. After the repeal of the Contagious Diseases Act in 1886, Josephine spent her time nursing her sick husband. After his death in 1890, Josephine wrote Recollections of George Butler (1892) and Personal Reminiscences of a Great Crusade (1896). In her last few years of her life, Josephine became a supporter of the National Union of Suffrage Societies. However, now in her seventies, Josephine was too old to take a prominent role in the movement’s activities. Josephine Butler died in 1906.